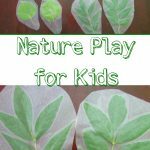 This past month our preschool and 2nd grade science we have been doing a tree nature study. 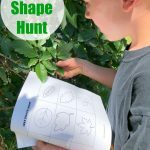 My two younger kids have been having a lot of fun learning about trees and I wanted to share a few of the fun things we have done in our tree nature study. We are using Nancy Larson Science Curriculum to guide us. 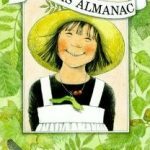 I received this curriculum for free this year to share as we use it along the way. 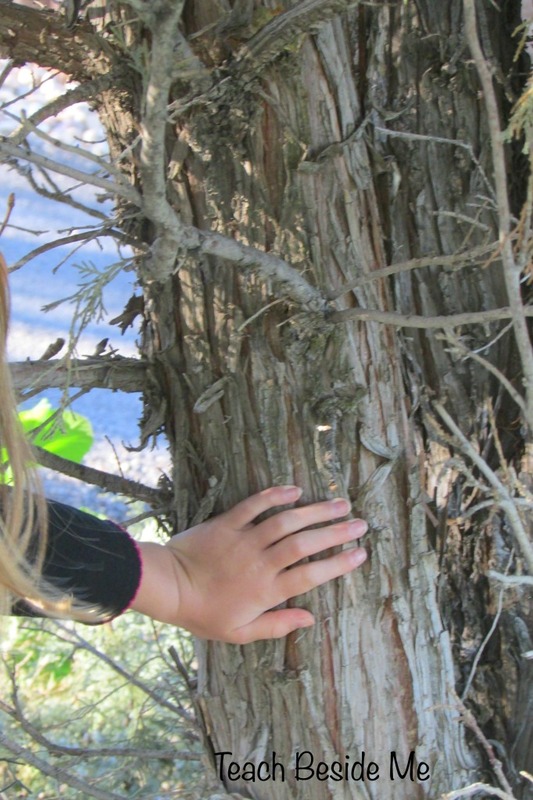 It is a pretty incredible homeschool science curriculum and is easy to just open and go. 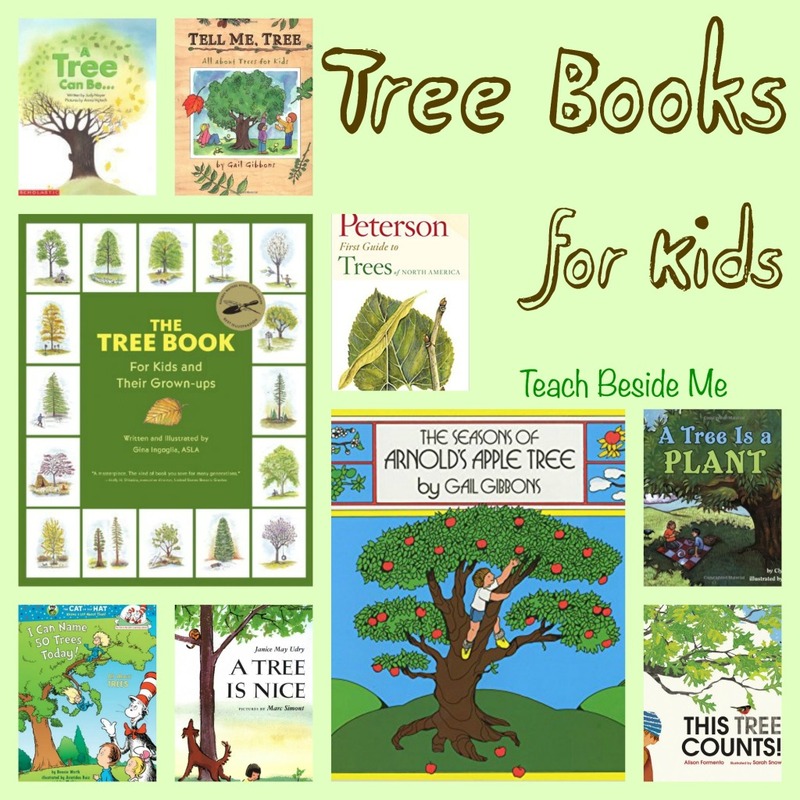 With Autumn in full swing, we have been really loving learning about trees- it is just the perfect time of year for it. 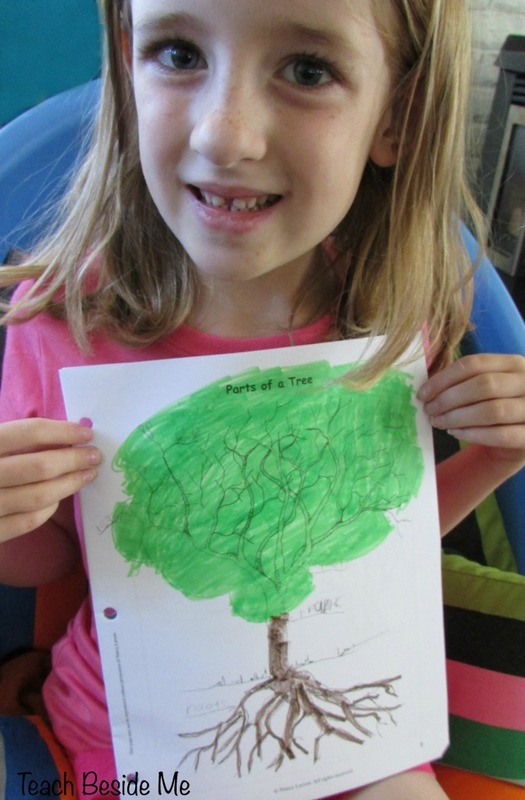 We are learning different types of trees- deciduous & evergreen. 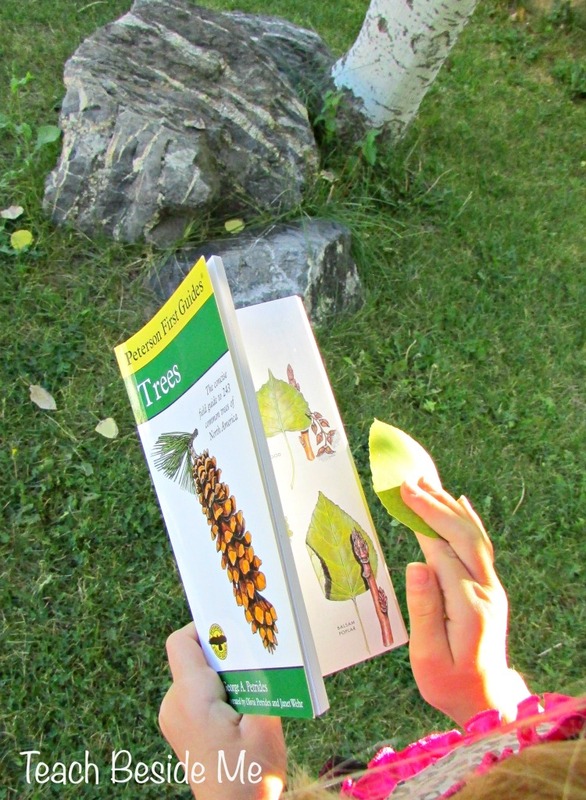 We are also learning to identify the trees in our yard using our field guide. 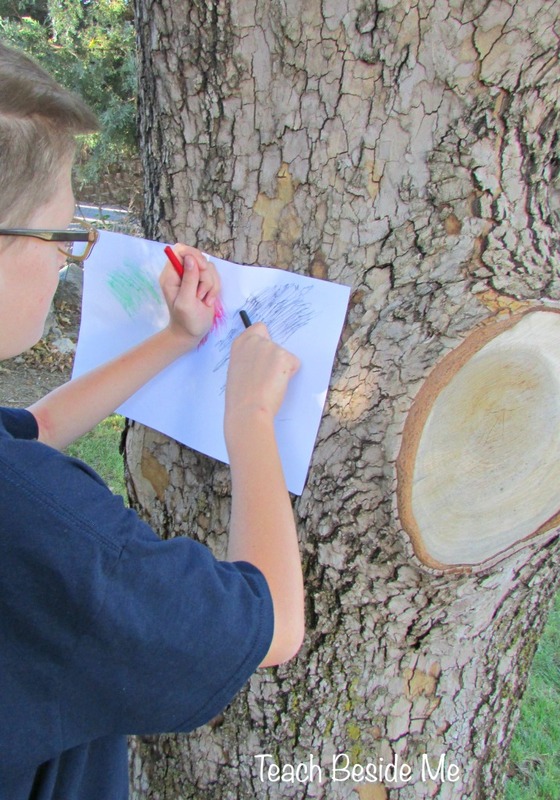 We are doing nature rubbings of trees and leaves. 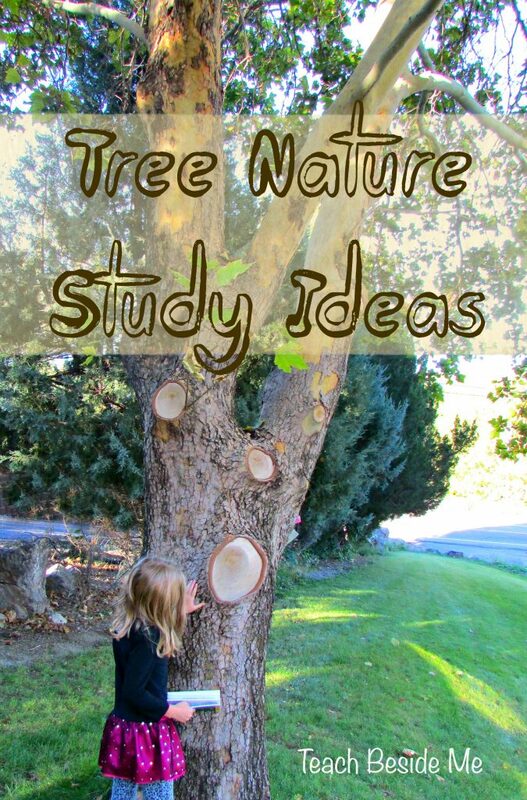 Add a fun art element to your Tree Nature study! 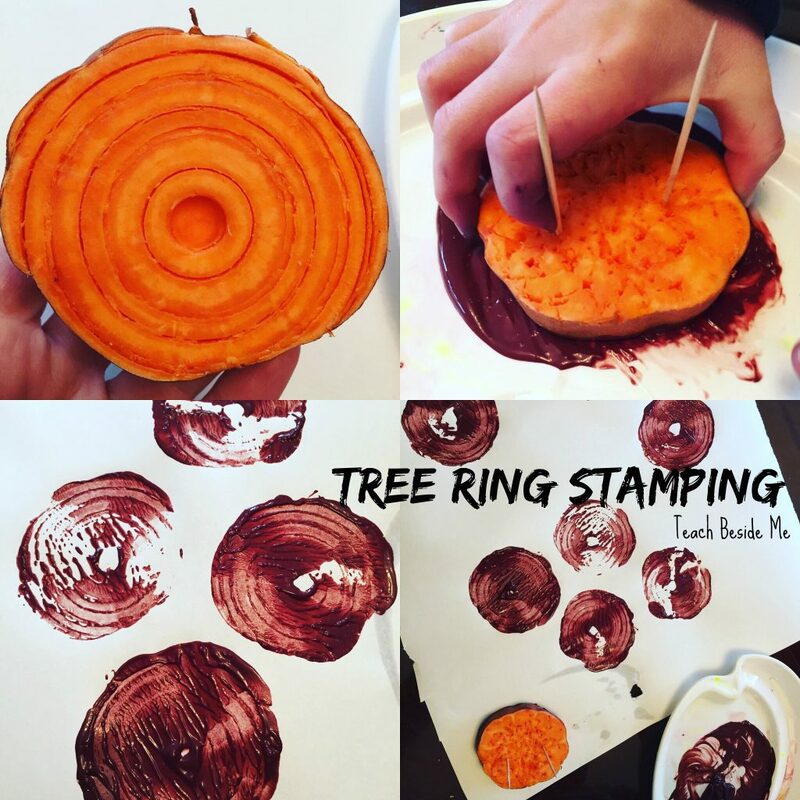 You can stamp tree rings with a sweet potato that has been spiralized. This was a FUN project for my son who really loves counting tree rings on our wood samples. No vegetable spiralizer? You can cut the patterns in yourself. We LOVE Nancy Larson Science!! 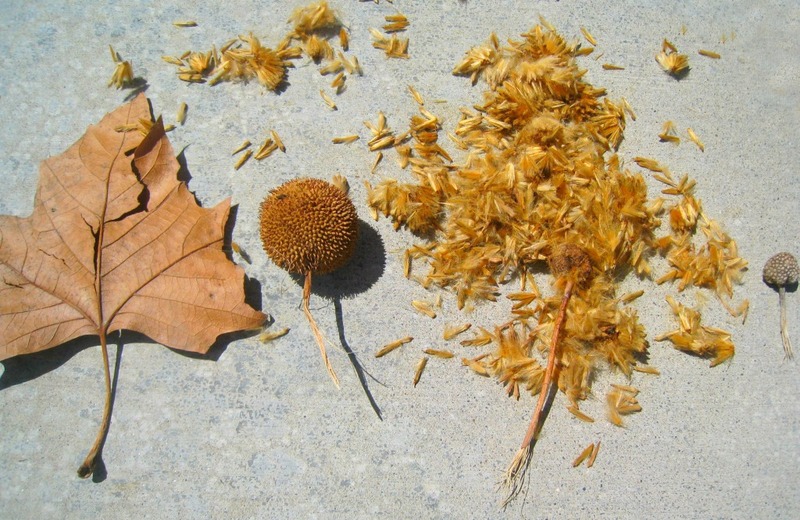 I have a few posts on The Homeschool Scientist about our NLS studies. They might give you some ideas for digging deeper. We did the bark rubbing 2 years ago and my son thought it was so cool that we’ve done it every year since!